Few things evoke a sense of Britishness more potently than the seaside. Anyone who has ever spent a holiday in a bustling coastal resort will be familiar with sounds of seagulls and tinny music emanating from amusement arcades, the evocative smell of ice cream and greasy chips. The seaside has a certain charm and says “Britain” in a way that few other environments do. In British cinema, however, this setting has come to signify something else in recent years. No longer affectionately portrayed for their nostalgia and endearing naffness, seaside towns are now symbolic of broken dreams, stark inequality and feelings of confinement. A trip to the coast was once an escape but, for those who live there, it can serve as a potent metaphor for isolation and general malaise. James Gardner’s Jellyfish is a prime example of how British cinema’s relationship with the seaside has changed. 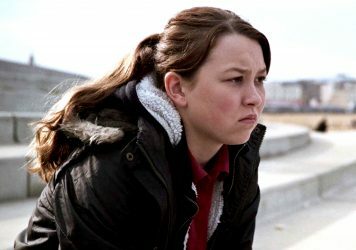 The film’s young protagonist, Sarah (played by rising star Liv Hill), resents her Margate home. For her, the arcade is not an escape but a place of work – both legitimate and illegal, in the sexual acts she performs out by the bins at the back. The ironically named ‘Dream Land’ pleasure beach is a pipe dream for Sarah and her two younger siblings and she rubbishes the claims of a yuppie slimeball in a bar that Margate is about to become “Shoreditch by the sea” due to an influx of trendy City types. Other people throughout the film project what they want Margate to be, but Sarah understands that her home is every bit as troubled as the rest of the UK. The contrast Gardner could not be more explicit. The holidaymakers and wealthy folk with whom Hill’s character rubs shoulders are worlds away from her predicament – a depressing dose of reality in a fantasy land. Even the cinematography feels washed out, with the bubblegum colour of seaside camp swapped for the moody greys and browns of kitchen sink drama. The notion of the seaside as a fantasy also powers Jason Wingard’s Eaten by Lions. When half-brothers Omar and Pete (played by Antonio Aakeel and Jack Carroll respectively) travel to Blackpool in search of Pete’s biological father, the popular coastal town seems the perfect manifestation of their dreams. By the time they’re shacked up in Johnny Vegas’ grotty guesthouse and struggling with their shattered preconceptions about the trip, the location has taken on a similar irony to that of Margate in Jellyfish. It’s a reminder of their own naivety. Back in 2007, Helena Bonham Carter’s Mrs Lovett sung her way through a seaside fantasy sequence in Tim Burton’s Sweeney Todd. For her, the notion of a life “by the sea” is one of escape from the grim reality of her precarious, criminal city existence. However, in both the Nick Hornby adaptation Juliet, Naked and the battle rap drama VS, seaside locales are anything but an escape. The former sees Rose Byrne’s protagonist struggling to run a coastal museum while longing for something more exciting than her parochial small town. 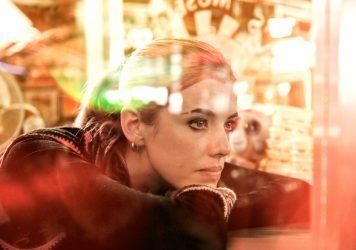 It’s through her meeting with Ethan Hawke’s singer-songwriter that she finds the courage to shed those shackles and move to London, gaining a fresh start in the Big Smoke and leaving the seaside behind. For the central character in Ed Lilly’s VS, meanwhile, his seaside home represents everything that has gone wrong in his life. Adam (Connor Swindells) has few prospects, even fewer friends and is constantly haunted by the fact his estranged mother lives just down the road. It’s as if Southend his holding him in a state of limbo. Adam soon discovers the thriving local battle rap scene, though, and finally finds an opportunity to be creatively fulfilled and channel his energies into something positive. The final rap battle takes place at Southend pier, contrasting the wholesome, traditional image of the town with something decidedly edgier and more youth-oriented. While Rose Byrne in Juliet, Naked literally escapes the seaside, Adam appears to physically reshape the image of his hometown by bringing the underground and modern into direct contrast with the classical, campy image of the world’s longest pleasure pier. On the big screen at least, the lustre of the British seaside is fading. The appeal of flickery archive footage showing pensioners munching on sticks of rock in old-fashioned swimming costumes has gone. In its place is something grittier and considerably more grounded in modern society. 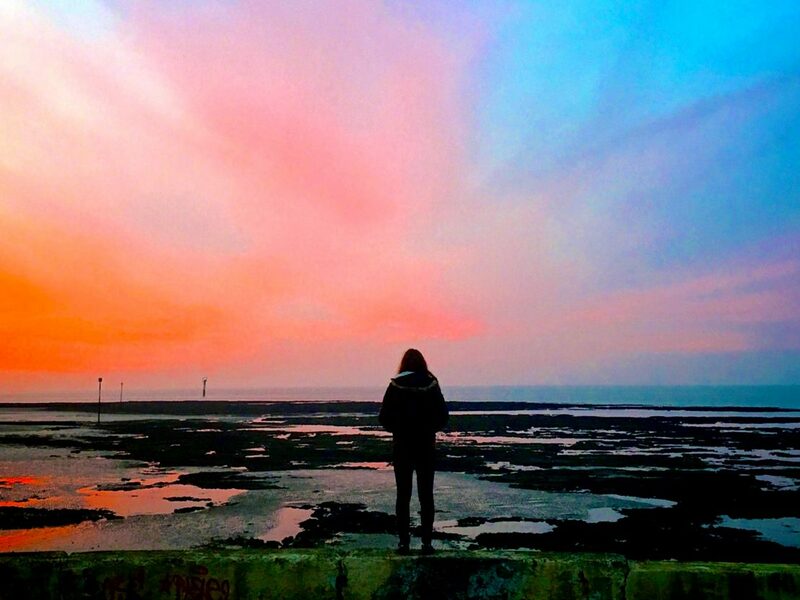 For a new generation of filmmakers, the seaside is anything but a nostalgic daydream. 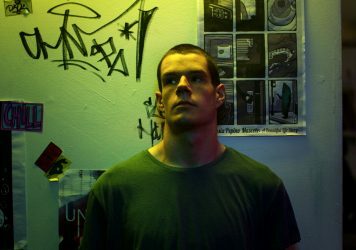 Director Ed Lilly’s against-the-odds tale of a white UK rapper feels like a missed opportunity.